Whoever said that Generation 1 Monoculars are dead was sorely mistaken. 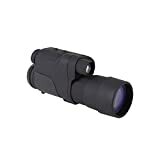 The Nightfall II from Firefield brings you great quality images and resolution, a high power built-in IR illuminator, great ergonomic design and a super close focus range. 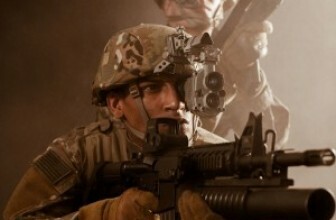 When it comes to night vision, bigger isn’t always better, which in this case highlights the Firefield 5X50 Nightfall II, which points out that size is by no means an indicator of lesser quality. You’ll be happy to find that the Firefield 5X50 Nightfall II surpasses your wildest dream with the durable design and the high-quality optics, not to mention the very attractive price tag it comes with! Feeling intrigued yet? 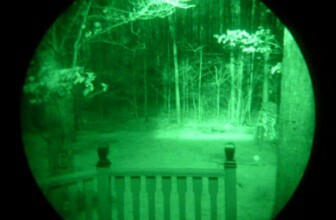 Read on to see just why this night vision monocular should be on your “have-to-have” list. The tiny, compact body of the Firefield 5X50 Nightfall packs a powerful 50mm lens, giving it that distinctive look. It looks front end heavy, but it’s anything but heavy and actually turns out that the ergonomic design and comfortable grip totally works on this device. The user controls on the side of the device are great for easy operation in the darkest of conditions and the exterior housing (made from durable rubber) was definitely designed with durability in mind. The Nightfall II is fully weather resistant, making it a great outdoor device even in bad weather conditions. As far as power goes, the 5X50 Nightfall uses two AA batteries, which should give you about 20 hours of use. 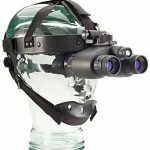 Overall, the design is probably anything but flashy and sleek, but seeing that you’ll be using it in the dark, it should be the least of your worries. Okay so we have to admit that the glow of the infrared light will attract attention in the dark, so you’re not going to be able to use this device (with the IR on) passively. 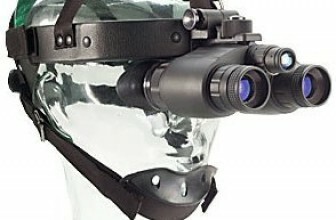 The 5X50 Nightfall has 5X magnification and you’ll get a field of view of roughly 15 degrees. Want to know about the resolution? You’ll get about 36 lines per millimeter, which is awesome for a device with a price tag as low as this. 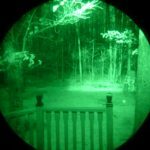 Overall, the Firefield 5X50 Nightfall is a pretty well-rounded night vision device and it’s got a lot of really great aspects and not too many downfalls. If you want a monocular that’s easy to use and comes with a very competitive price tag, the Firefield 5X50 Nightfall Night Vision Monocular is a great choice. It’s nothing flashy, but it’s pretty durable and super reliable, which makes it a winner in our books. 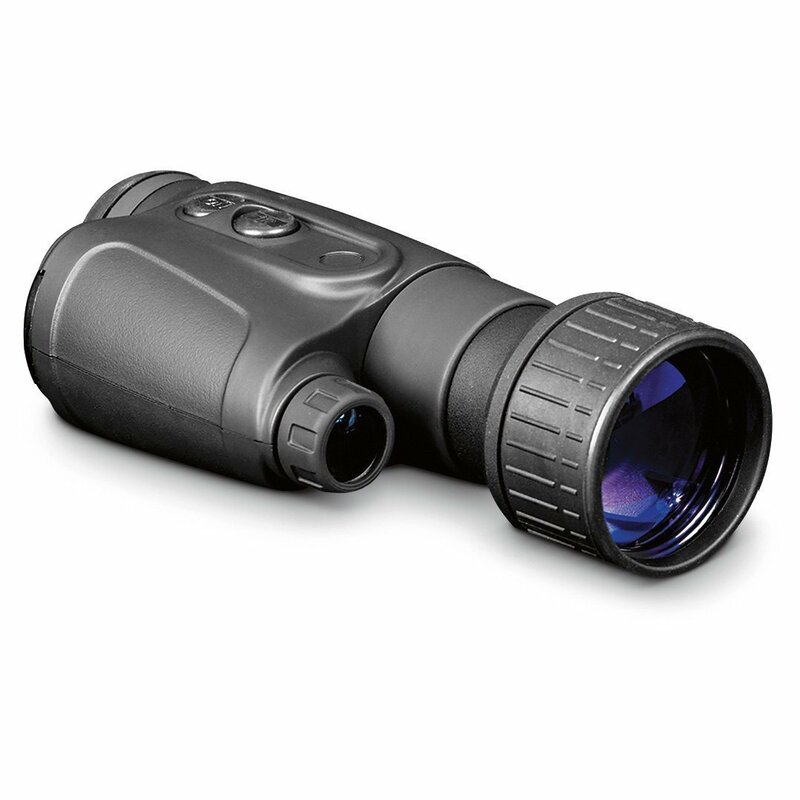 It’s the ideal night vision device that’s suitable for a very wide variety of nighttime applications, offering you convenient operation for uses such as nighttime hunting, search and surveillance as well as general observation. It’s no wonder they claim the Firefield 5X50 Nightfall Monocular they key to victory!